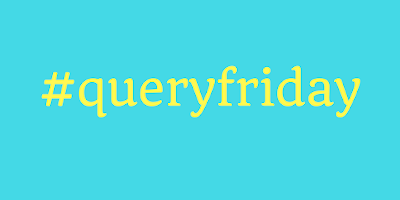 Friday is here again, and that means you have the opportunity to win a query critique! But we'll be shaking it up today: To correlate with F for the A to Z challenge, the FIRST person to comment on this post will be the winner (don't forget to also comment on another post from this week). Also, please note, that if you do not leave your email address in your comment, do not have it listed on your Blogger profile (or somewhere that I can find it easily on your own blog), I will then pick someone else as the winner. The rest of the rules can be found here. Good luck, and have a great weekend! I would like a query critique! My email is slbynum3(at)gmail(dot)com. Congrats, you were the first! (Obviously, lol!) Expect an email from OA shortly.